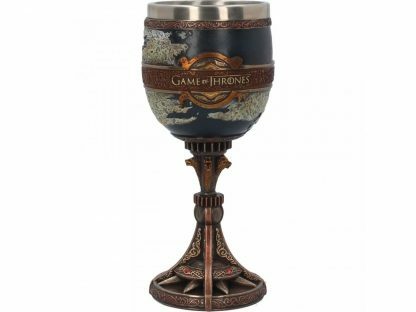 Officially merchandised Game Of Thrones Seven Kingdoms Goblet. 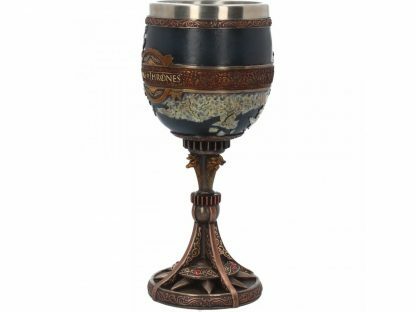 Game Of Thrones Seven Kingdoms Goblet. This design includes a beautifully detailed map of Westeros and Essos. 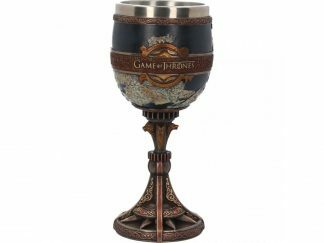 It has a bronze coloured band circling the middle covered in subtle filigree patterns, with the Game Of Thrones logo. The base represents a bronze coloured compass rose. Four red gems lie between the supports of the stem. 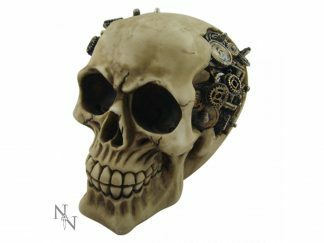 The supports curve up to meet a bronze, horizontal cog, topped by four animal heads – a stag, a lion, a dragon and a wolf. 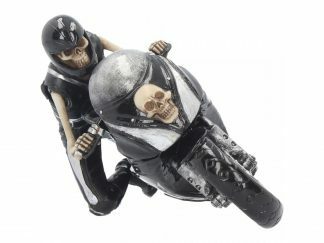 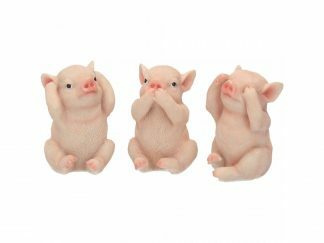 Has a removable stainless steel insert for easy cleaning.